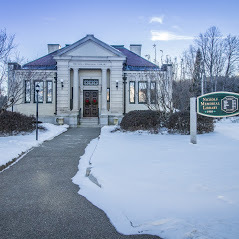 There’s more than good reading going on this summer at the Nichols Library in Center Harbor. We have a story time for kids that incorporates stories and songs for a fun hour. Call the library (253-6950) for details. We have passes to the Squam Lakes Science Center and Castle in Clouds. You can use your library card to download books and audios to your portable device of choice—the perfect beach and boat companion. Speaking of portables, you can borrow our kindle for your next overnight trip. We have wifi access and computers for people who want to stay in touch while away, and copying, a scanner and FAX to help take care of business. And if you just want to get out of the heat, we are air conditioned.